If anything went wrong during a conference call with an important client you could potentially risk the success of your business. 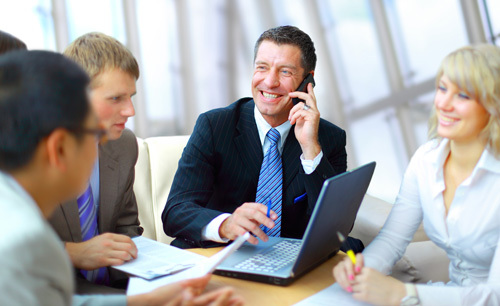 This is why you need to utilize the best and most reliable conference call service. The technology utilized by your business should not get in the way of your business progressing. While many conference calls are fairly short they are necessary. Technology issues can force the need to reschedule the call which can, in turn, reduce the opportunity to do business with a client. Nowadays there is no need to only consider the most expensive call services. Do your research as the providers offering high-quality customer and technical support can be very cost effective. Many call providers offer a very good call service free of charge. Once you get up and running with their service and request additional features they will charge you for them. Whereas these additional services can be found free of charge by other providers. Many people do not stop to think about hosting a call until just before it is about to start. There could be incomplete or confusing instructions. There may be a number of passwords and codes, which could potentially go missing. The process for setting up a conference call needs to be straightforward and easy to follow. A large number of providers utilize the cloud or online capabilities to support their users. Your team members may be able to access these services without the need to download software or install hardware. The best providers do not use landlines. Instead, they use the digital call in solutions to offer great usability. The advantage of a digital solution is that a business can have thousands of callers on a call simultaneously at the same time. The best providers supply a conference line for each team member. This allows them to hold important calls at very short notice. They will also be able to hold their own meetings with clients or potential clients. Special numbers are also provided for international team members. If your conference call provider is not utilizing a tier one carrier service then their settlement costs might be increasing the price you are paying. Providers utilizing a tier one carrier have the capability to offer their area of coverage for no charge. What are the requirements for your company when calling important clients? How are ideas presented to team members? There are a number of features available nowadays thanks to the modern technology for conference calls. There are many benefits of holding conference calls via a digital platform. There's a presentation mode which lets the host share their screen with everyone on the call to view via their browser. The host has the option to send each team member a link unique to them in advance so that they can connect with the meeting at the set time. Another feature that's very helpful is Auto Record. This feature switches on at the start of a meeting automatically. On completion of the meeting, the call provider will automatically email the recording to you.